First, on Serenata “Adventures with the Art Song” at 1 p.m. - Verrett’s 1965 Carnegie Hall recital of music by Franz Schubert, Sergei Rachmaninoff, Guiseppe Verdi and spirituals. And then on Saturday on Stage “Opera and More” at 1:30 p.m. – Verdi’s Don Carlo, with Verrett in one of her signature roles, the glamorous Princess Eboli. Verdi’s opera is set at the court of King Philip II of Spain, at the height of the Spanish Inquisition. Joining Verrett in this performance are Montserrat Caballe, Placido Domingo, Sherrill Milnes and Carlo Maria Giulini. Shirley Verrett died last year at the “College Up North”. She was 79. Verrett’s career began on Arthur Godfrey’s Talent Scouts in the 1950s, and took her to the Metropolitan and all of the world’s glamorous opera houses. Her career ended on Broadway, as Nettie Fowler in Nicolas Hytner’s staging of Carousel. 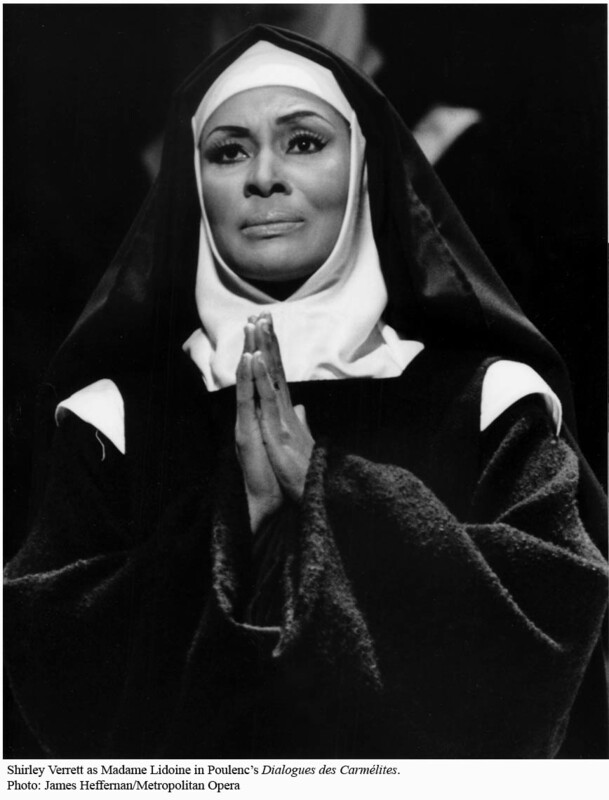 Shirley Verrett was prima donna of the Boston Opera in the years I was hanging around the company. She sang Tosca, Norma, Aida, Desdemona, Norma and Orfeo and was glorious in everything. Great artist. Strong and classy lady. Listen to her sing this Saturday on Classical 101, and kvell along with me. And remember: pineapple juice is good for you.